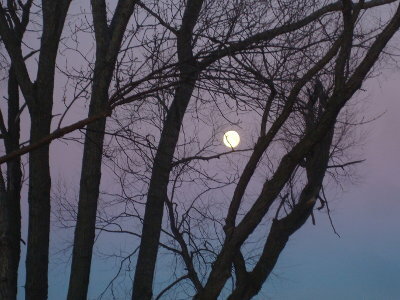 At 10:28am Central time today, the winter solstice occurs. For the next six months, we'll be getting more and more sunlight each day in the northern hemisphere while our Scouting friends down under are losing it. Here's an interesting activity to try. Get an 18-inch or so dowel or stick and stand it straight up on end (might need to make a stand for it if the ground is frozen). Mark the tip of its shadow on the ground every 15 minutes from 11am to 1pm, or until the shadow is obvious getting longer. Measure the length of the shortest shadow and write it on the dowel. By the way, from the base of the dowel to that shortest shadow mark is very close to North - check it with your compass. To find the angle of the sun, go to this page and put 90 as angle C, side b is the height of your stick, and side a is the length of the shadow. Click Calculate and angle B will be the angle of the sun. Repeat this activity on the spring equinox and summer solstice to see how much difference there really is between summer and winter sun at your location. I'll put my results in a comment below after lunch. Lots of people have been asking about the Webelos Super Achiever patch. It's never been an official national BSA award, so it fell to individual units or councils to create or adopt the award locally. It was available in a handful of various designs and names, but has become impossible to find. We are getting a new batch of Super Achiever patches next month to help ensure Webelos that earn all the available adventures can be recognized for their efforts. The patch is a "temporary" patch and includes a loop to hang it from the right pocket button. You can order Webelos Super Achiever patch now, and they'll be shipped to you as soon as they arrive in January. If you ever find yourself wondering if it is worth the effort being a BSA volunteer - this should take away any doubt you have. Listening to this young man might be the best way you have to spend 10 minutes today. This is an interview with someone that jumped in to help out at the train derailment in Washington this morning. It is sad that it happened, but refreshing to hear an Eagle Scout representing!!! Thanks to Daniel Konzelman and his girlfriend for their actions. Our Pen Pals program has about 1700 Scouting units signed up and scouts around the world are exchanging mail and electronic messages. A new Postcard Exchange has just been started. 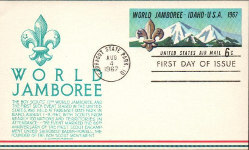 Scouts across the USA can collect postcards from scouts in every state. Pen Pals and Postcards can be used to fulfill requirements for Cub Scout, Boy Scout, and Girl Scout achievements, badges, and awards. Communication, citizenship, and cultural awareness are all improved by interacting with other Scouts outside your local community. There are girls and boys of all ages ready to swap postcards. We just need groups from more states to sign up. Please talk with your scouts about getting involved and then sign up to get started. 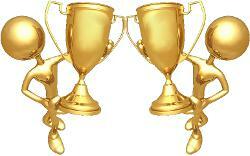 I just gave away 3 gifts this morning in my Monthly Give-Away and I'm waiting for the winners to claim them. You could win at the end of this month - if you just enter! Reusable Handwarmers - Instead of throwing away hand warmers after one use, these reusable handwarmers can be used hundreds of times. They are inexpensive, easy, safe, and non-toxic. Plus, they are fun to explore the reaction taking place for STEM. 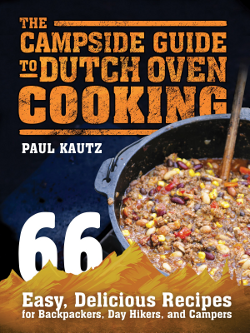 Dutch Oven Cookbook - 66 favorite recipes used to promote dutch oven cooking in a troop. Signed by the author and discounted. Thru-hike Book - a book about hiking the 1,100-mile Ice Age Trail through Wisconsin. One woman's story about her speed hike and the other hikers she met. 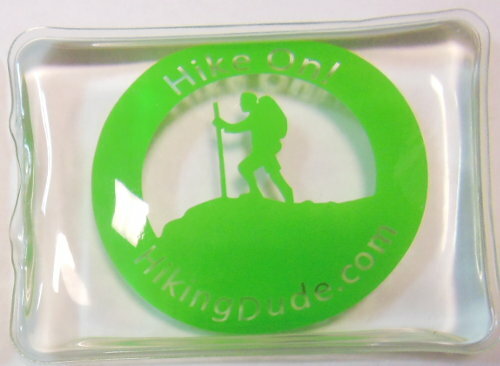 A fun read for anyone you know interested in hiking something more involved than a Philmont trek. Comment about other good Scout gift ideas you've found this year.